Johannesburg attorney, Dineo Peta’s article on ‘The effect of the “once empowered always empowered” rule on the mining industry’, has won her the 2016 LexisNexis Prize for Legal Practitioners for the best article by a practising attorney published in leading legal journal, De Rebus. 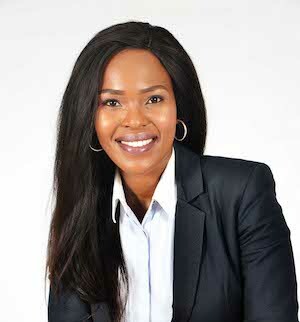 The 35-year-old Pretoria native runs her own legal practice, which specialises in Mining Law, Energy Law, Environmental Law and Commercial Law. Her prize from LexisNexis includes a Lenovo Tablet, as well as one year’s free access to one practice area of LexisNexis Practical Guidance to the value of over R11 500. “I am sincerely humbled to have won and to receive recognition of this nature. The inclination to write the article was based purely on how passionately I felt about the application of certain legal considerations. It didn’t cross my mind it would be considered for an award. I am grateful to De Rebus as the award is quite empowering and a great accolade to myself and my firm,’ said Peta. Entries are open for 2017 submissions. Interested attorneys are encouraged to send in an article not exceeding 2,000 words in length which should comply with the general De Rebus publication guidelines. The article must be published between 1 January 2017 and 31 December 2017. LexisNexis Legal & Professional is a leading global provider of content and technology solutions that enable professionals in legal, corporate, tax, government, academic and non-profit organizations to make informed decisions and achieve better business outcomes. In November 2015 LexisNexis South Africa’s acquisition of Korbitec (Pty) Ltd established the company as the leader in conveyancing solutions in the South African legal market, as well as expanded its reach to other spheres and stakeholders within the property transfer process.